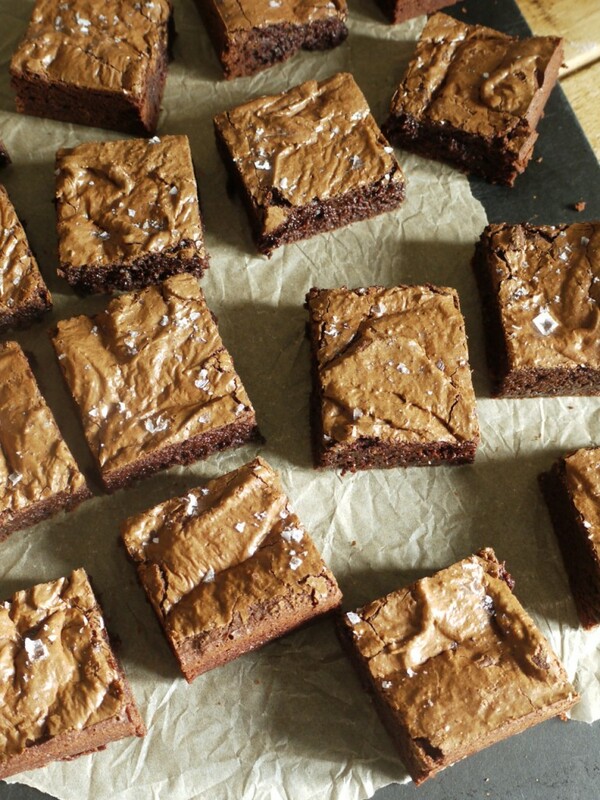 A brownie, for me, is the little black dress of the baking world. They bake up in batches to feed a crowd, can be stacked high and eaten with fingers or served singly with toppings for something more refined. Like that little black dress, they can totally miss the mark – I can count the number of brownies recipes I trust implicitly on one hand, excluding my thumb – but as with fashion, on occasion, a new season contender can jump in to shake up the status quo. 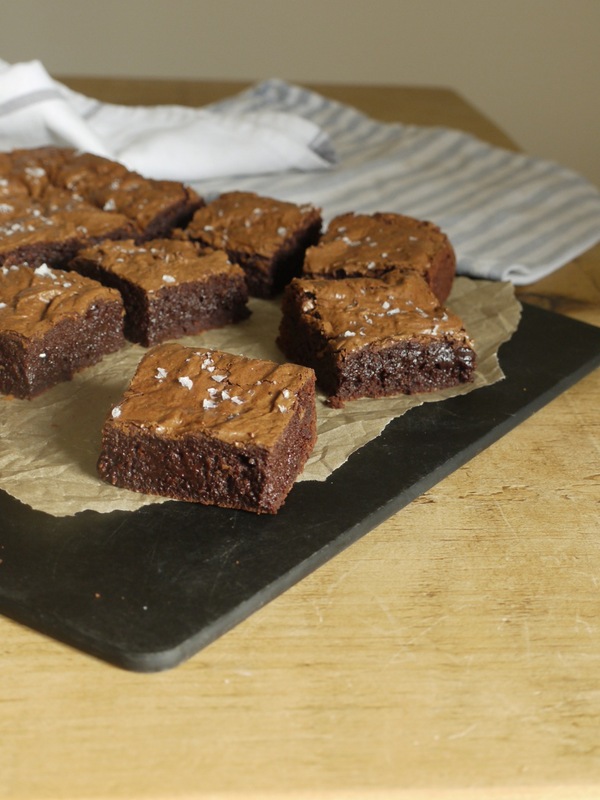 Hello rye chocolate brownie with flaky sea salt. 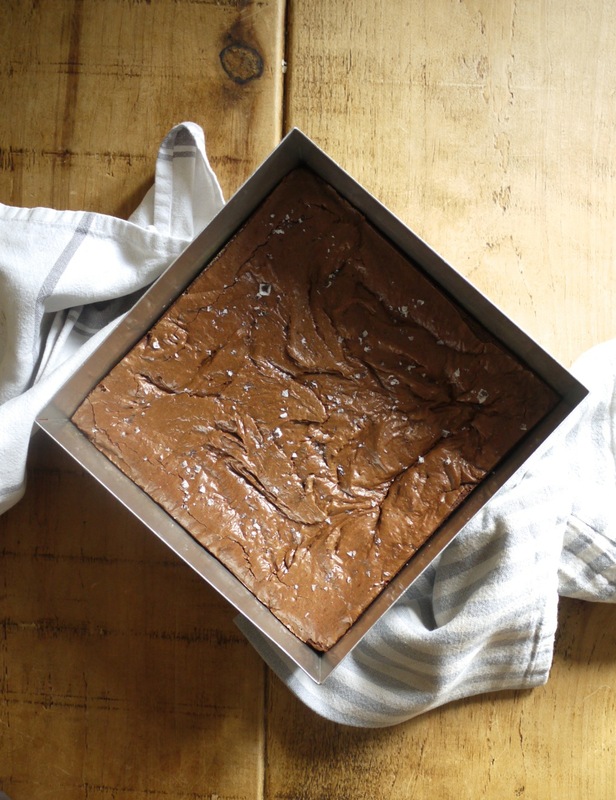 I first encountered the recipe for these brownies on Megan’s sweet blog. I’ve been a fan of her recipes and writing for ages, bought her cookbook and have been greedily gobbling up her posts on pregnancy (and now a real baby!) as she is a couple of months ahead of me. Megan seems to have a similar outlook on treats to mine, incorporating whole grains and unrefined sugar where she can, but not shying away from the indulgent if it’s too damned delicious not to try. 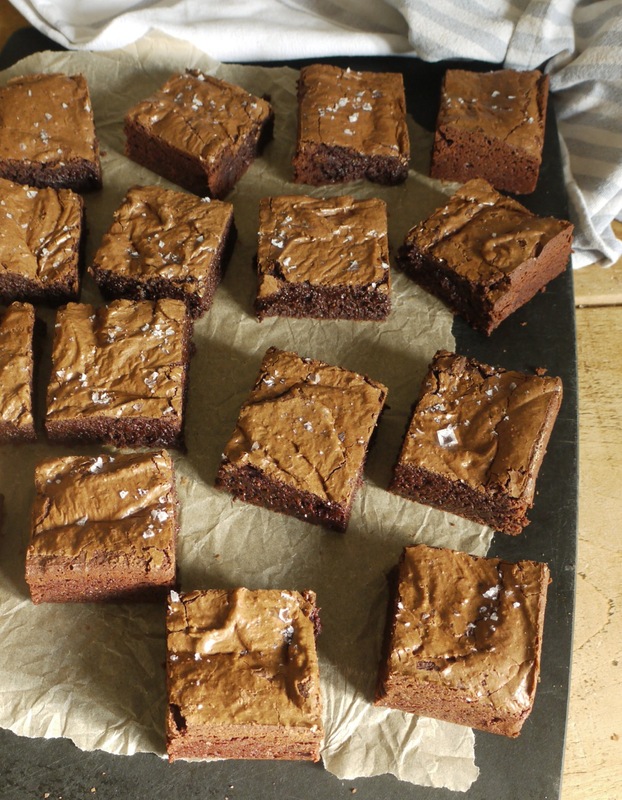 You might raise an eyebrow at the four hundred grams of sugar these sixteen brownies contain, but it’s that very sugar – a combination of caster and soft muscovado – which truly makes them. A brownie should never be dry or cakey and the sugar works to keep these rich and fudgy, the texture silky and almost ganache-like. The other important ingredient here is rye flour which lends a nuttiness and texture unlike any other I’ve tried – Megan suggests spelt as a possible substitute but I’d try to find rye if you can. 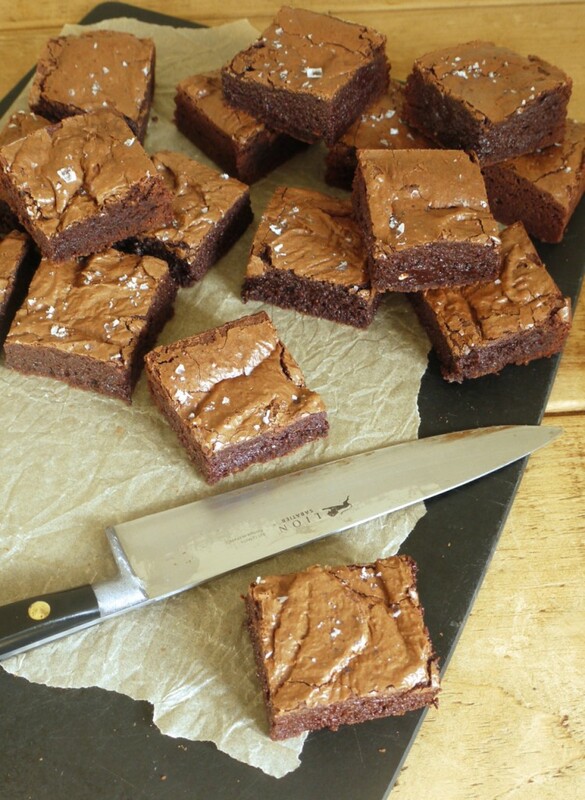 The recipe for these rye chocolate brownies originally comes from Claire Ptak’s The Violet Bakery Cookbook. I’ve been on a bit of a cookbook ban of late, but on the basis of this recipe I bought myself a copy. 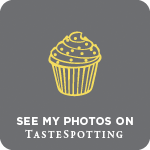 It’s everything you’d expect from the Violet Bakery owner and more, with lots of mouthwatering savoury ideas alongside sweet, a sense of her Californian roots and beautiful photography throughout. If you’re in the market for a cookbook for Christmas, or know someone who might be, it should certainly make the shortlist. And if you don’t believe me, try this recipe: I promise it’s going to convince you. One of the best brownies I've ever eaten, with a dense, fudgy centre and crisp, crackled top. Rye flour lends a lovely nuttiness while a sprinkle of sea salt heightens the flavour. Serve warm with cold vanilla ice cream or allow to cool and enjoy in small squares with a cup of tea. These brownies also freeze well if you don't think you'll get through the whole batch of sixteen in a few days (although I promise, you will). In a separate bowl, whisk together the cocoa, flour, baking powder and salt. In the bowl of a stand mixer, whisk together the sugars, eggs and vanilla until light and fluffy. Slowly add the melted chooolate, followed by the dry ingredients. Mix just enough to combine then pour into the prepared baking pan and sprinkle with salt. Bake for 20-25 minutes (mine took 20), until the brownies are set but with a slight wobble. Leave to cool completely in the pan before slicing into squares. Recipe taken from The Violet Bakery Cookbook by Claire Ptak. The only alternations I made were to omit the walnuts and bake in a 23cm square pan rather than a 20 x 30cm pan. 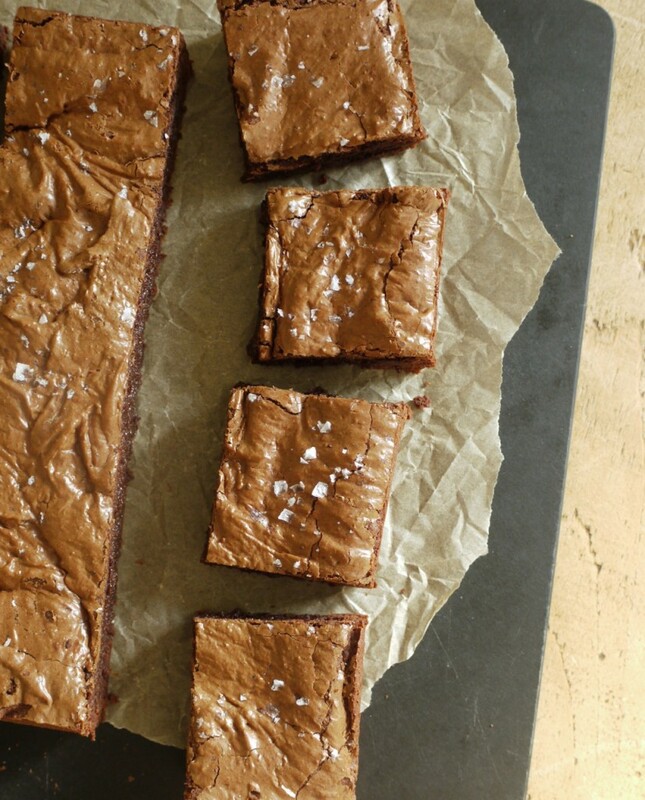 I haven’t made these brownies (yet!) but have loved everything else I’ve made from the Violet Bakery cook – there’s a lemon drizzle cake that I’m particularly partial to. 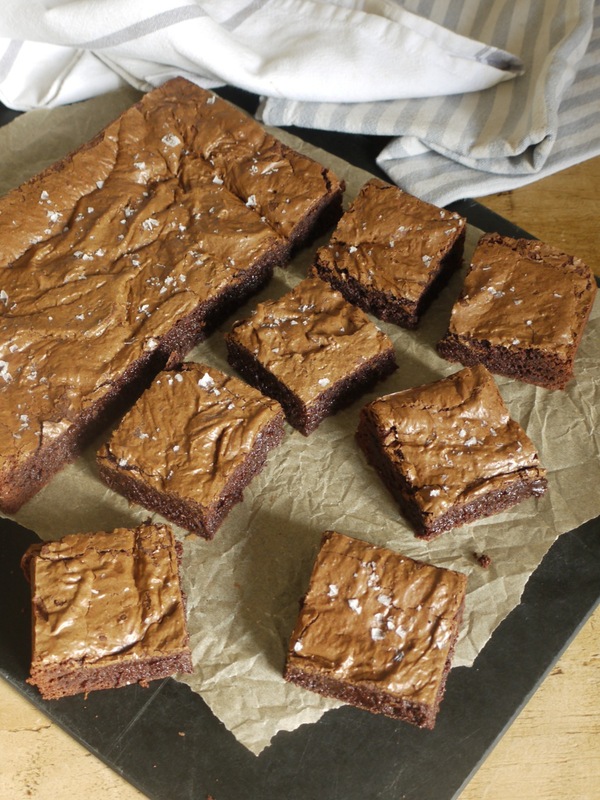 I really like the idea of using rye flour in brownies though so will definitely try this recipe now that I know it comes recommended by you! Ooooh, these look great! There’s no shortage of rye flours available to me here in Sweden, and I know the grassy taste goes just perfectly with chocolate. I’ll give these a try for sure, in all their sugary glory. 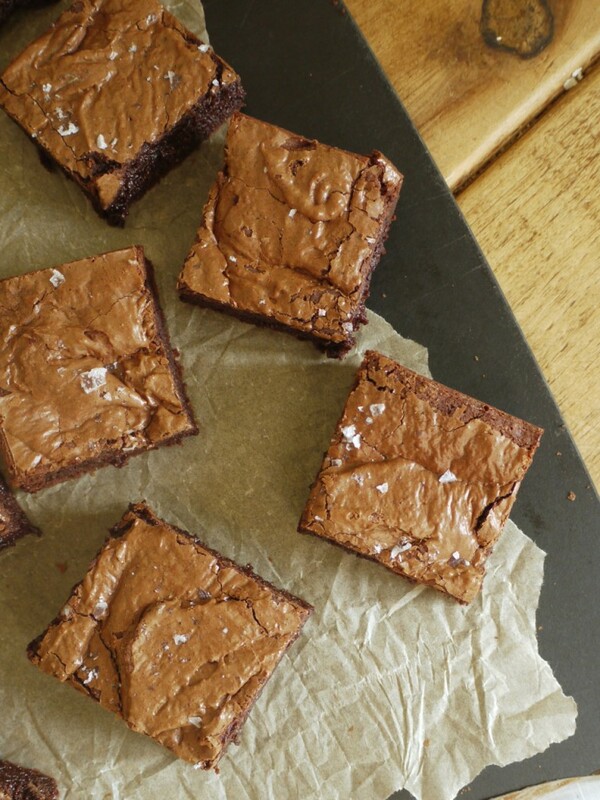 Cause there’s nothing sadder than a dry, crumbly brownie, is there? I am intending to bake a batch of brownies, adding 150 g Maltese to the mix. This recipe looks great, do you think adding the Maltesers will affect the overall bake? Thanks.